Chicago lost another Black man to a senseless shooting by a Chicago police officer. As usual, there are conflicting stories surrounding the incident: the one that the police shared with the media and the one that family, friends and witnesses are reporting. One thing is certain, however, that when mourners gathered around the family’s home shortly after the tragic shooting, they were greeted by an angry group of flag waving white men who shouted racial obscenities and told the mourners to get out of “their” community. and has been protected as such over the decades. Isolated in Chicago’s farthest southwest corner, Mount Greenwood is surrounded by suburbs to the north, west and south. The part that connects it to the city was a long bastion of the racially restrictive covenant, keeping Mount Greenwood white for decades. In 1968, the elementary school was integrated and the seven brave Black students were subjected to protest from some of the white parents. In the 1980’s, more white parents protested over the integration of the new magnet school, Chicago Agricultural High School and again in 1992 when CPS proposed to expand the facility and increase enrollment. The 2008 housing crisis devastated the black communities to the east but barely affected middle class Mount Greenwood. People of color were steered into unsustainable subprime mortgages while white families continued to have access to financial capital that didn’t put their houses under water. Chicago residents are still reeling from the rippling effects of the housing crisis as many communities never recovered: 52 public schools were closed and boarded up buildings and vacant lots stretch for miles. Starting at I-57, things change pretty quickly. The neighborhood school attendance boundaries are so strong that the alderman recently suggested that Mount Greenwood elementary take over the nearby Keller Regional Gifted school facility, moving Keller into Kellogg 2.5 miles north east and moving Kellogg into Sutherland, a mile south. The lone predominantly black school, Esmond, would receive capital improvement funds as a consolation prize. All of this just to avoid adjusting the Mount Greenwood attendance boundary and to protect segregated schools. There was strong community backlash, however, and the proposal has been taken off the table. This is what the CTU refers to as educational apartheid. The situation in Mount Greenwood is the result of a confluence of CPS, CPD and racist housing policies. This is what the CTU refers to as educational apartheid. None of this is meant to paint a bleak or generalized image that all white people who live in this area are racist, because that is not true at all. There was an anti-racist rally in 2014 after several homes in Morgan Park were vandalized with racist graffiti. There are local anti-racist groups active in the area. But more needs to happen. We need to promote and teach tolerance, and we need to support our students as they struggle to process events such as these. We encourage everyone to talk about how they want their students to grow up to be thoughtful people who respect others and other points of view. 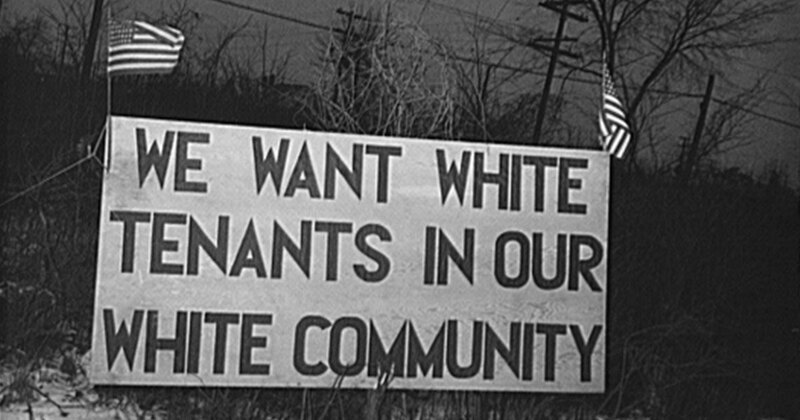 community development, police brutality, racism, segregation. Bookmark.